At NAPILI SHORES you enjoy the family feeling. This one bedroom, ground floor, garden unit is located close to the heated pool, Jacuzzi and barbecue. Just walk off your lanai and everything is at your finger tips. E142 accommodates 4 people with 1 king in the bedroom and a pullout queen sofa in the front room. The unit has had several upgrades. You will love both the unit and the property. 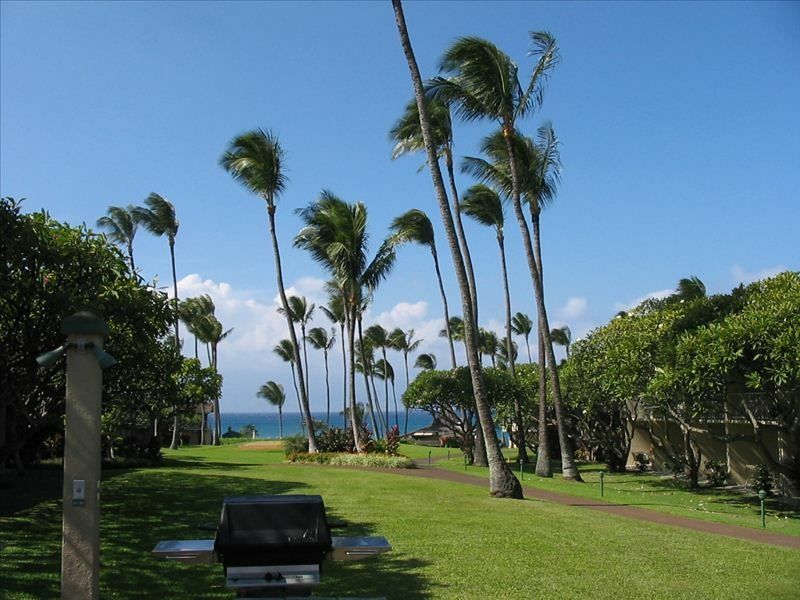 Napili Shores is a U shaped two story complex with lush gardens in the middle. Relax in one of the two pools and enjoy the Jacuzzi. There is an excellent restaurant on the premises along with concierge service, laundry room and free parking. Enjoy complimentary morning coffee on the oceanfront patio with views of Molokai and Lani while watching for whales and turtles. (2) Two pools, one heated. This condo was the perfect spot for our family. Near the ocean and a great beach as well as direct access to pools and green space. The condo was clean, comfortable and had a well stocked kitchen. The resort is geared towards families, fun, relaxation and is quiet in the evenings. We really enjoyed the stay and would come back to this resort again. The pool noise was a little much at times due to our location but we really did not let that impact our stay. We were in beautiful Maui in winter! So glad you enjoyed your stay. Being there over spring break means more kids in the pool but everyone is having fun. Hope to have you back again. Near the pool, close to the beach, what more do you need in Maui! Had extra lawn chair, games and some kitchen supply’s that were very helpful! I am glad you enjoyed your stay and hopefully you will return. Very comfortable and well equipped condo. Napili Shores is such a great location. Our favourite! The perfect place to stay in Maui. Napili Shores has it all. Beautiful beach, great food at the Gazebo, swimming with the sea turtles! Well stocked unit. Clean. Easy access to nice pool. Ground floor unit. I would recommend this condo to a friend. We are so glad you enjoyed yourself and I think the location is great to pool, Jacuzzi and Napili Bay. Also having two restaurants on the premise is great. Hopefully you will be able to return soon. I've stayed in three condos in Napili (different complexes) and this was my favorite so far. The kitchen had everything we needed and there were also two beach chairs/towels. The bed was also very comfortable. Every window had slates and every room had a fan, so I imagine it'd be comfortable even in summer's hotter months. Marlene was also great in answering any questions during the reservation process. Highly recommend -- we'll definitely be back! We are so glad that you enjoyed the property and we hope to have you return. We are always doing new things to both the unit and the property. I look forward to dealing with you in the future. Conceirge services on site. Close to 'Kapalua Adventures', featuring Ziplines, ropes course, climbing tower and giant swing.